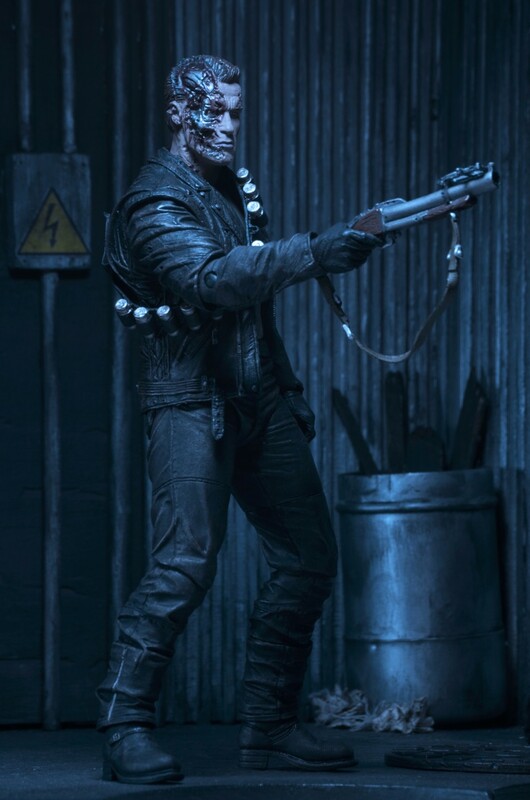 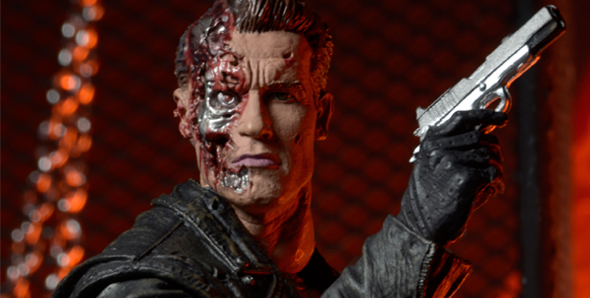 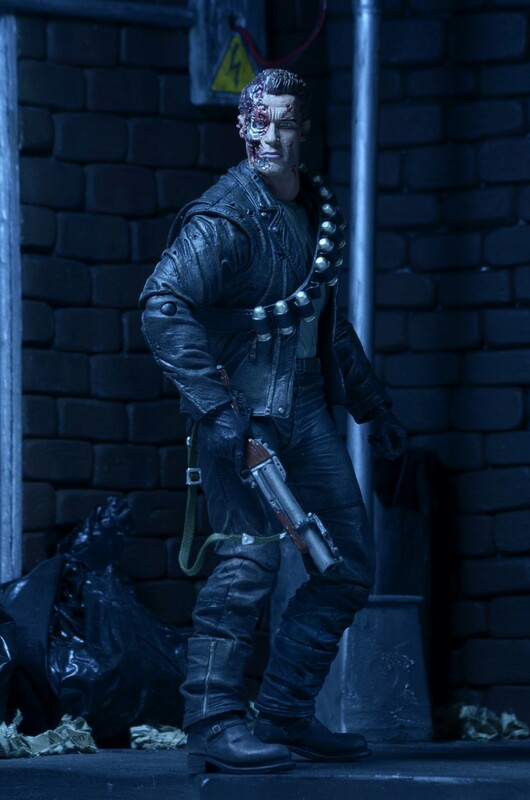 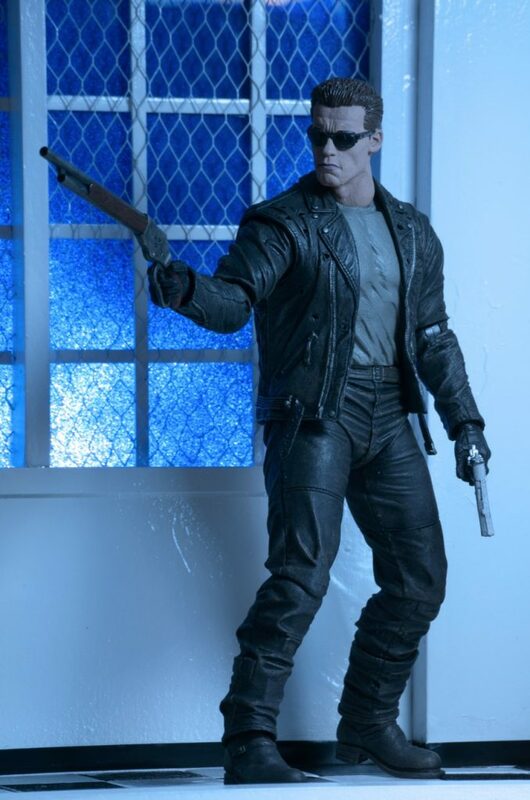 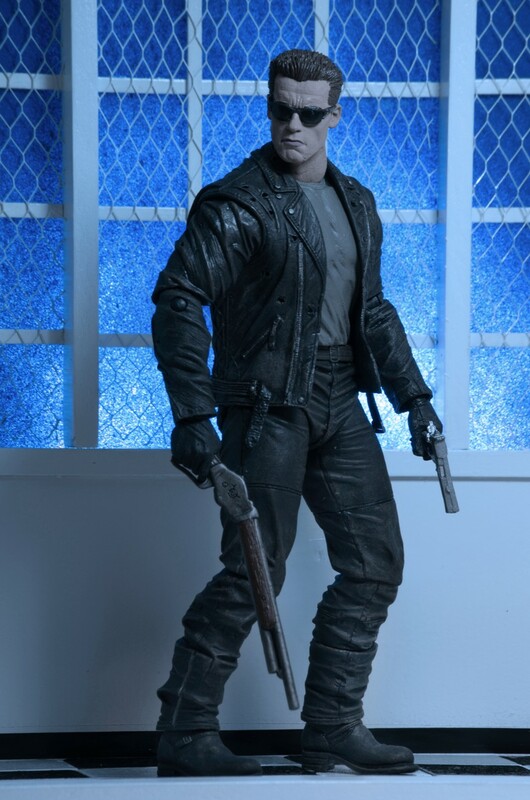 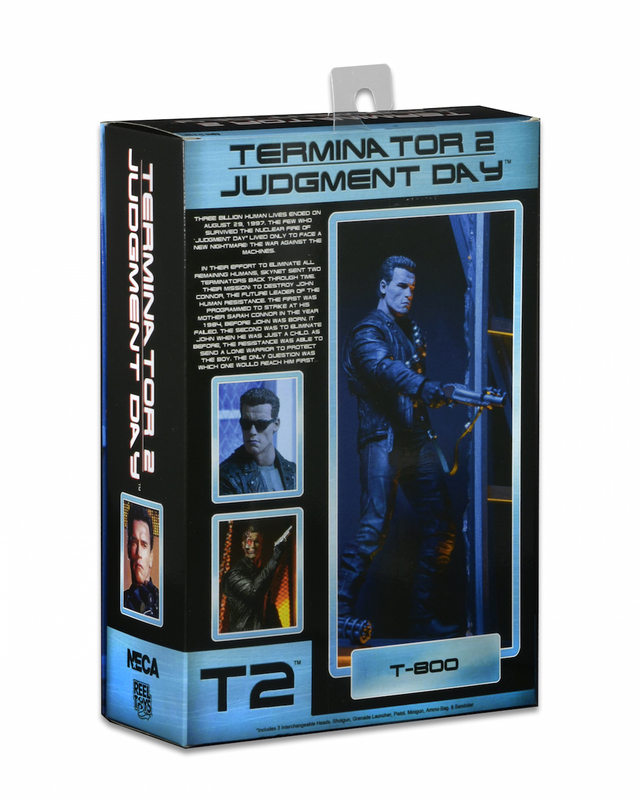 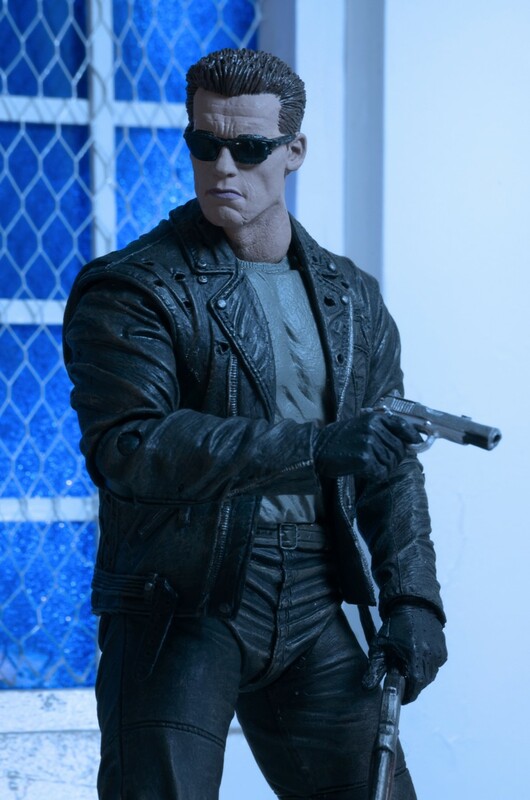 …In just a couple of weeks, when our Terminator 2 Ultimate T-800 action figure starts shipping! 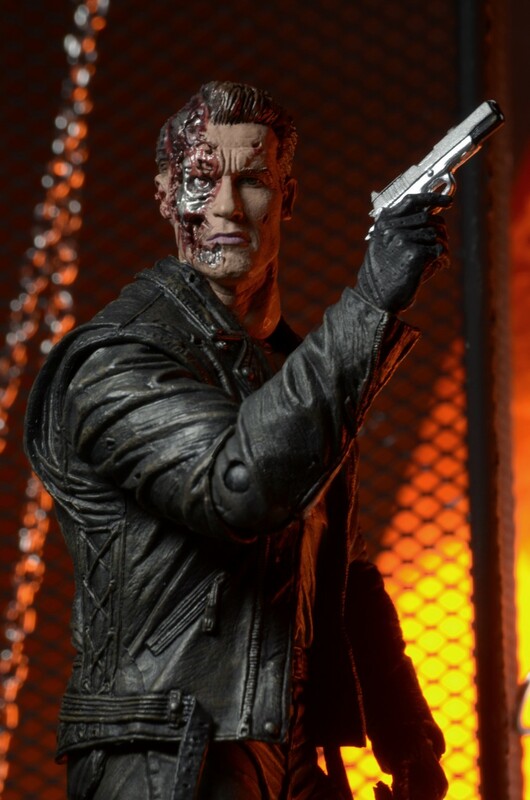 In the meantime, check out the new gallery of action shots and in-package photos below. 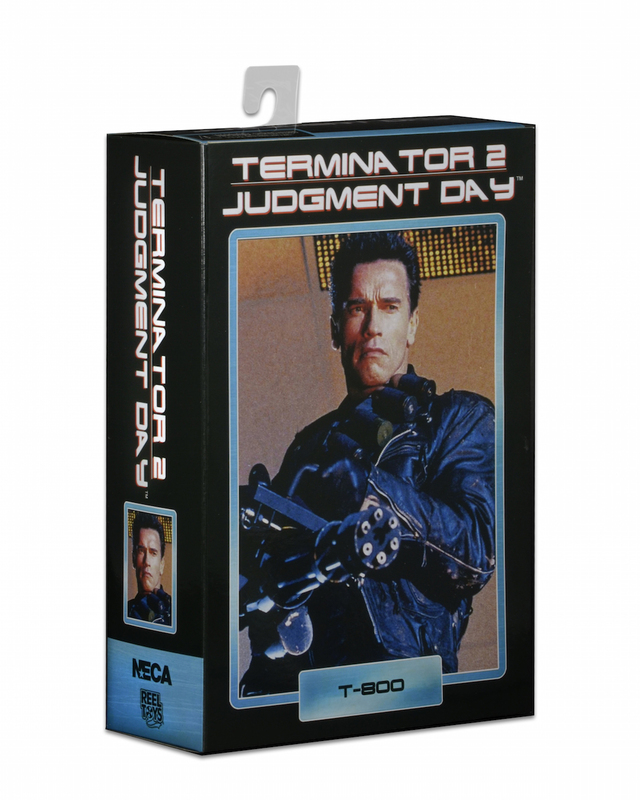 Imposing, chilling, deadly… There are so many words to describe the T-800 from Terminator 2: Judgment Day, but we’re about to add another — Ultimate. 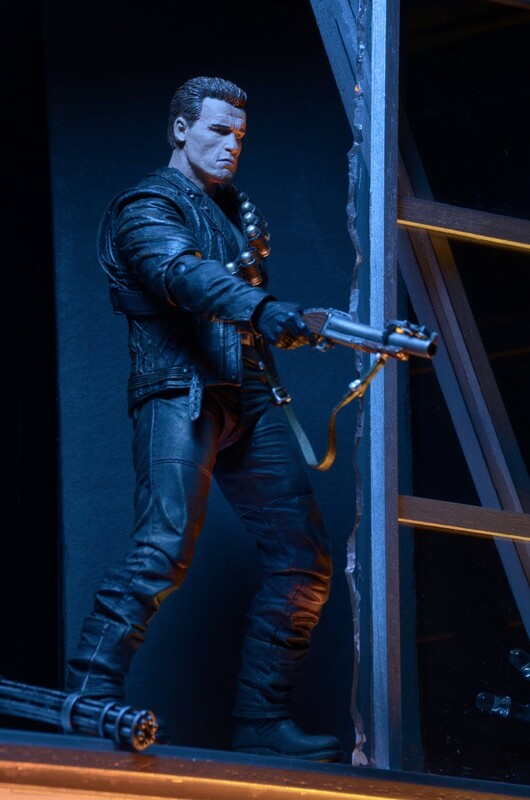 This definitive collector’s version of the machine from the future comes from the 1991 film and features the likeness of Arnold Schwarzenegger. 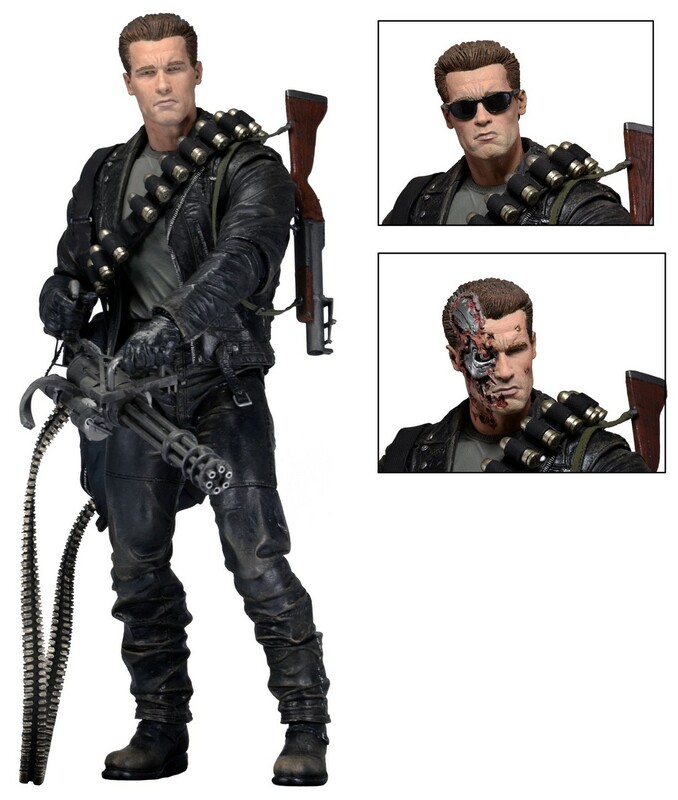 The deluxe 7” scale figure gets an all-new body with over 25 points of articulation, plus 3 interchangeable heads (regular, sunglasses and battle-damaged). 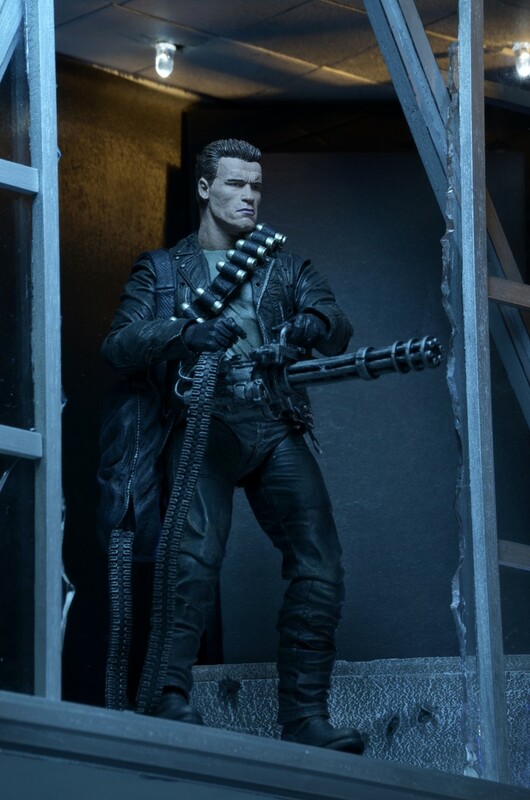 The Terminator comes with a veritable arsenal of accessories, too: Minigun, ammo bag, ammo belt, grenade launcher, shotgun and pistol. 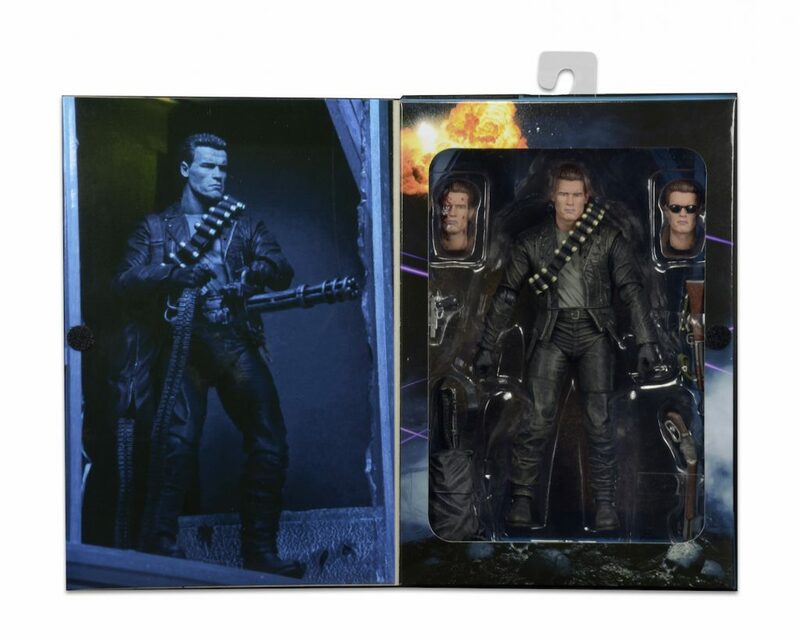 Deluxe window box packaging.